The Mele M6 is a heavily reduced version of the Mele M3 and Mele M5, with a different motherboard layout, allowing for a more compact design and a cheaper price tag. There is no support yet for this device. Three hidden screws can be found under the device. Once the screws are removed, the plastic case can be pried open. The board itself is secured by three other screws; the device's LED cover is secured by two extra screws, which do not need to be removed to extract the board. The Mele has a 4 pin 2.0 pitch JST-PH connector available for its UART0 port, near the SD card slot. This is the same as some 90s analog audio cables which ran from a CDROM to the sound card. 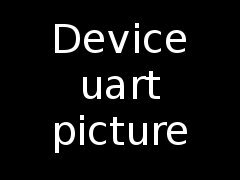 More information is available at our UART howto. There are no known rebadgers for this device. Mele M5: Different board, but also based on the A20.